Two more deaths caused by defective Takata airbags(http://www.edwardslawok.com/takata-airbag-recall-lawyers.html) have brought the international total to 11, also fueling renewed calls for more immediate action to remedy the defect. 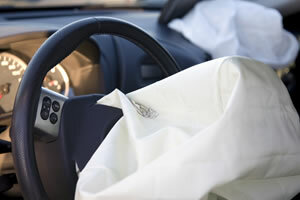 The most recent death occurred on April 12 when a retired Florida woman succumbed to her injuries from a 2014 collision in which the Takata airbag in her Honda Civic exploded violently. Once an active woman, she turned quadriplegic following the slow-speed crash. The woman’s family has filed a personal injury lawsuit against Takata, in which a trial is set for August. Tragically, the woman’s accident occurred just days before the record-breaking recall began. On March 31, a Texas teen was killed after a Takata airbag ruptured during a rear-end collision. The girl died at the scene from a piece of shrapnel from the airbag that had pierced her neck. According to local police, the minor accident was one that everyone should have walked away from. These recent deaths have renewed calls among law makers and U.S. regulators for Takata and auto makers to speed up the recall and replacement process and to intensify their outreach to notify owners of effected vehicles. The National Highway Traffic Safety Administration has insisted that automakers work at a 100 percent completion rate and do everything necessary to reach that goal. So far, about 30 million affected vehicles have been recalled from 14 auto manufacturers. The defective airbag inflators can explode violently and spray metal into the cabin of a vehicle, causing fatalities and serious injuries. Defective auto parts like this can have devastating effects on individuals and families when they malfunction. Whether it is loss of life or severe injuries that negatively affect quality of life, it is important to remember you may be entitled to compensation for your pain and suffering. Contact the defective products lawyers at The Edwards Law Firm to discuss your legal options.